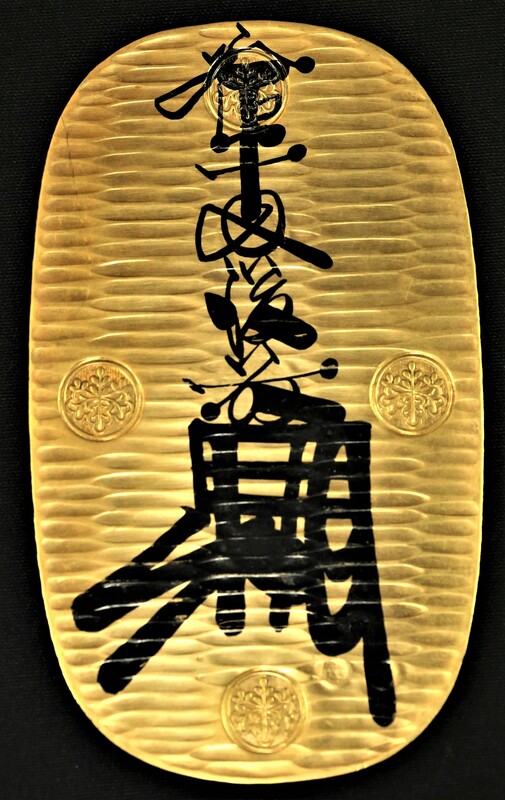 The Oban/Koban was initially used by the imperial court for business transactions and were given out by court nobility as gifts during the early 16th Century. 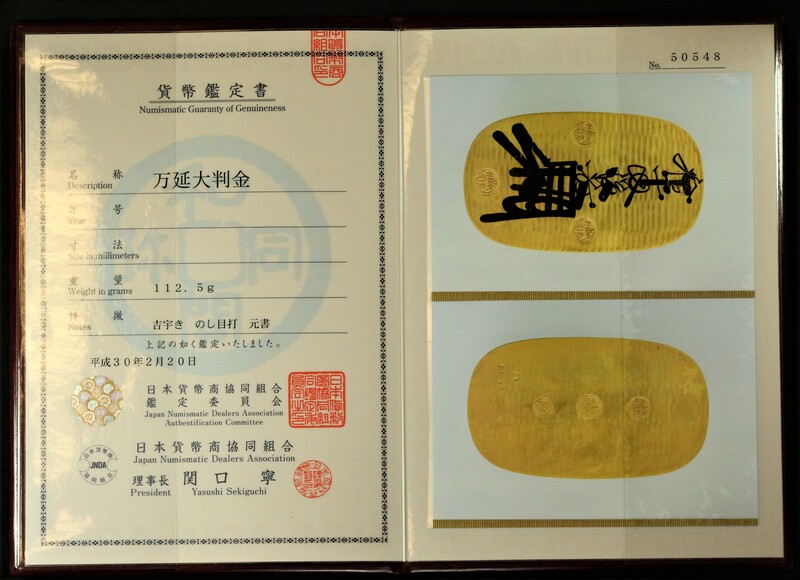 Later, foreign trade and domestic transactions were conducted by using this unit and the Oban was the first standardized legal tender currency that circulated in Japan. 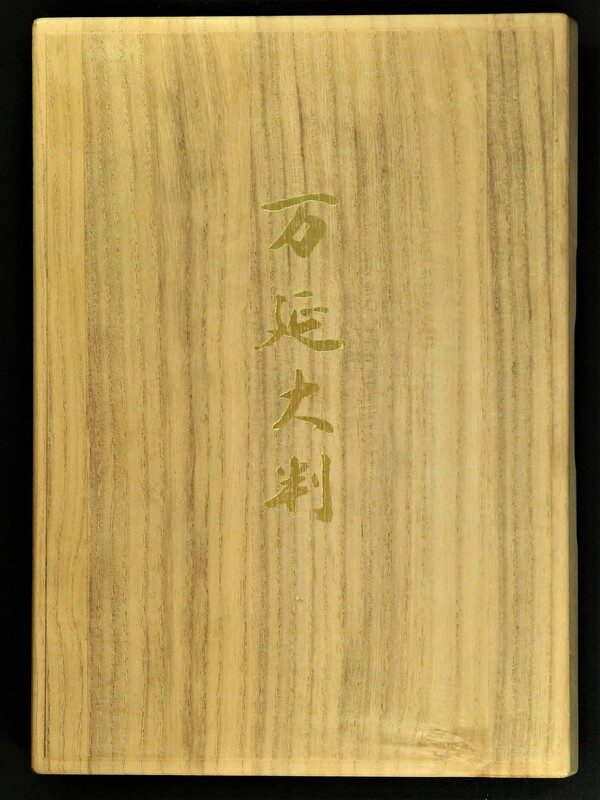 The weight of this unit is based on the Chinese Tael which was part of the Chinese system of weights and measures. 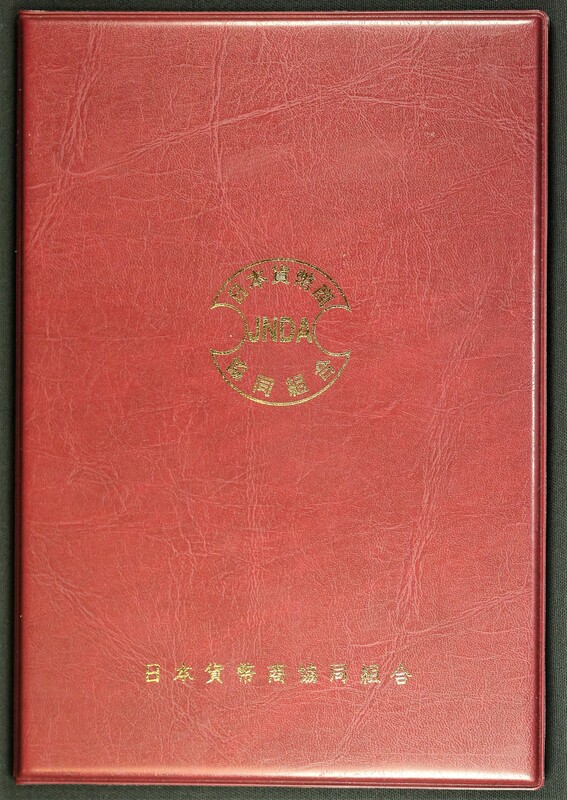 A wooden presentation box that is velvet lined houses a booklet from the JNDA (Japan Numismatic Dealers Association) numbered 50548 provides the weight and notes/pictures of the Oban. A light surface scuff/scratch exists on the obverse which measures about 1 1/2 inches from 9 o’clock to about 11:30. 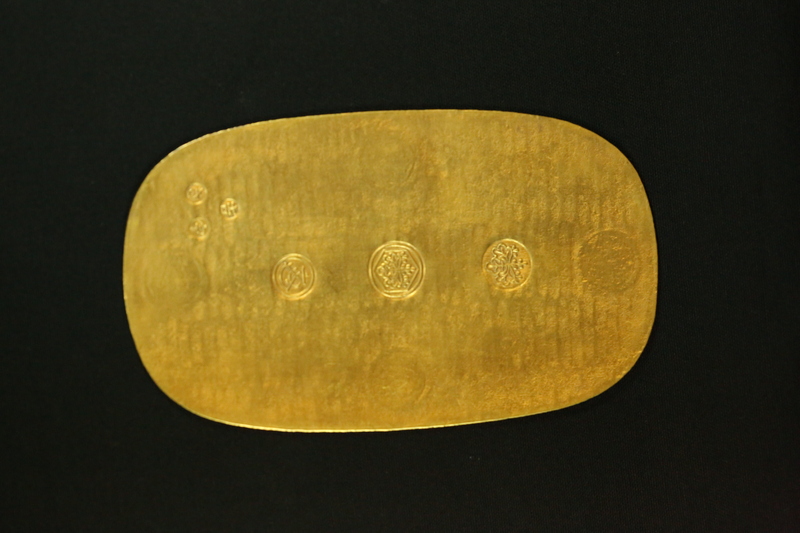 The scratch does not detract from the overall eye-appeal of the piece and the surfaces exhibit golden patina. 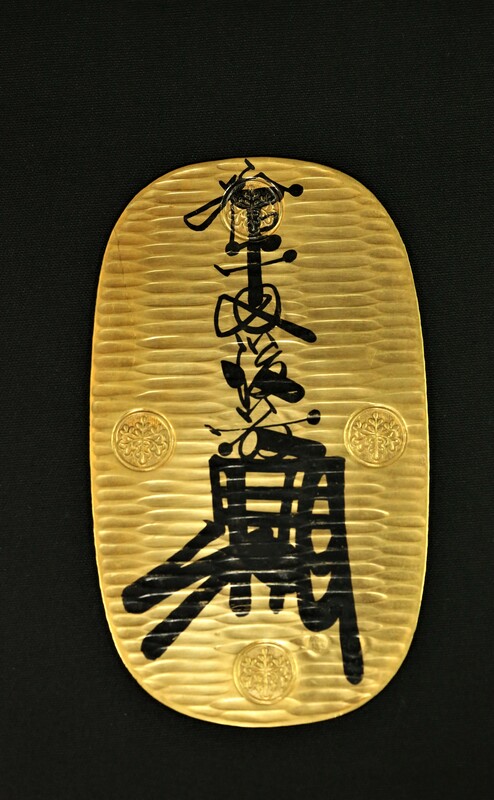 Most of the calligraphy is well preserved, fairly bold, and only some of highest points display any evidence of being incomplete from light abrasions/circulation. 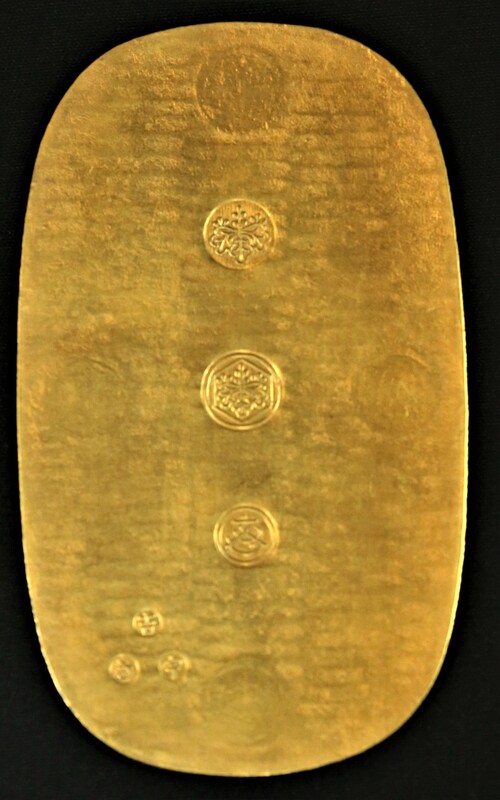 Oban was eventually replaced by the Yen during the Meiji Period and this example was the last of these large issues struck in Japan.